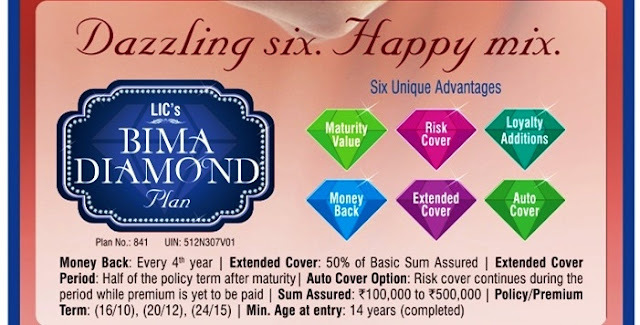 Home > News - SEPTEMBER 2016 > LIC BIMA DIAMOND PLAN 6 Unique Advantages. 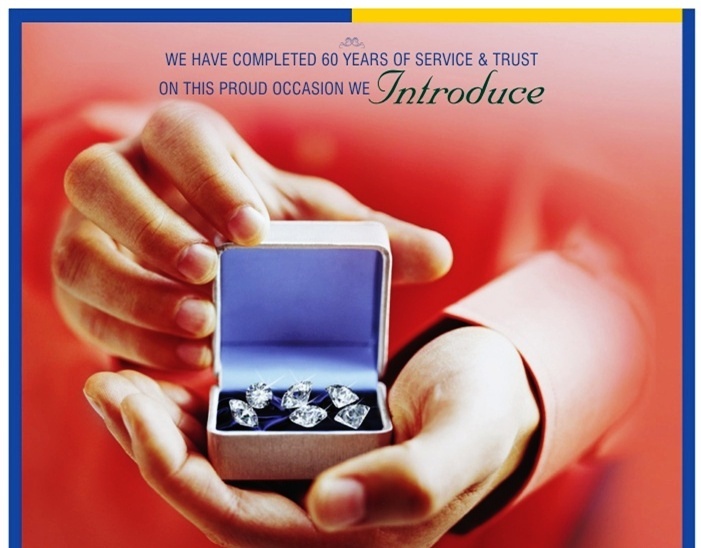 LIC’s Bima Diamond plan offers a combination of protection and savings. In case of unfortunate death of the policyholder, this plan provides financial support for the family not only during the policy term but also beyond the policy term during the Extended Cover Period (equal to half of the policy term and beginning from the date of maturity). Periodic payments shall also be made on survival of the policyholder at specified durations during the policy term. In addition, this plan also takes care of liquidity needs through its Auto Cover as well as loan facility. It is a close ended plan which shall be available for sale upto 31st August, 2017, coinciding with the Diamond Jubilee Year of the Corporation.